The Sunshine Coast is without doubt the most perfect spot to escape to if you live in Brisbane or even on the Gold Coast. It has some of the best beaches you will ever see. We think it’s also way more laid back and relaxed than the Gold Coast, for example. There is plenty to see and do as well. In addition, there are some fabulous spots to grab a meal or enjoy a quiet drink. Whatever you decide, you will find plenty of things to do on the Sunshine Coast. Visit any coastal location around Australia and chances are that you will find a Surf Club. Generally these clubs are associated with a Surf Lifesaving group and money you spend in the club helps support these lifesaving activities. With absolute waterfront locations and views to die for, our favourite clubs on the Sunshine Coast are Coolum Beach and Kings at Caloundra. Both of these clubs have fantastic food or are the perfect spot to enjoy a drink and take in the views. Surf Clubs are the best places to enjoy and meal and a drink with views for free. An awesome spot for the family is Sealife (previously Underwater World) Located in Mooloolaba, Sealife is a completely interactive experience for the whole family. There are 11 different zones at Sealife so the kids won’t get bored. 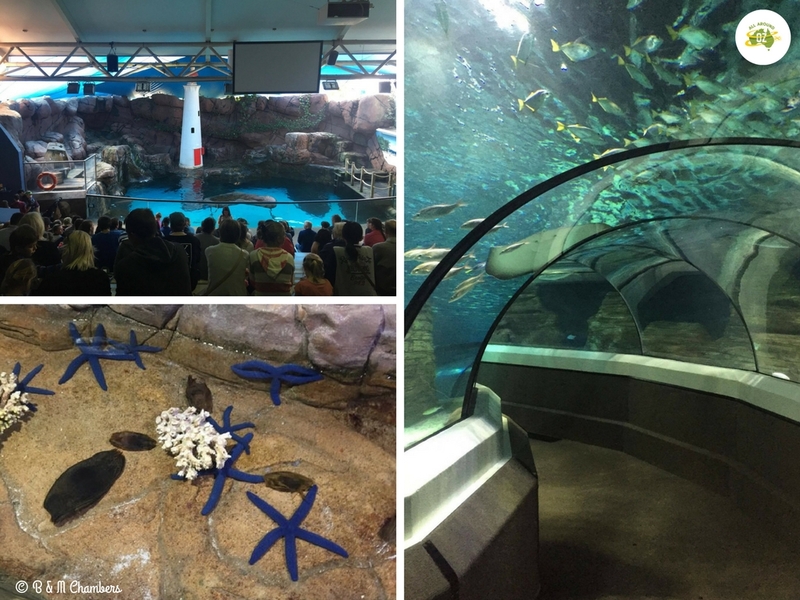 Take a walk through the underwater tunnel and marvel at the marine life cruising above your head. The kids will love the Seal Show and the Tidal Touch Pool. There is also a new 3-level indoor play zone for the kids plus a cafe and a gift shop. TIP: Book and pay for your tickets on line to receive a huge discount. Sealife at Mooloolaba is an awesome spot for a day out. Eumundi Markets are arguably the best markets in Queensland. Held every Wednesday and Saturday, you will find something at these markets for everyone. 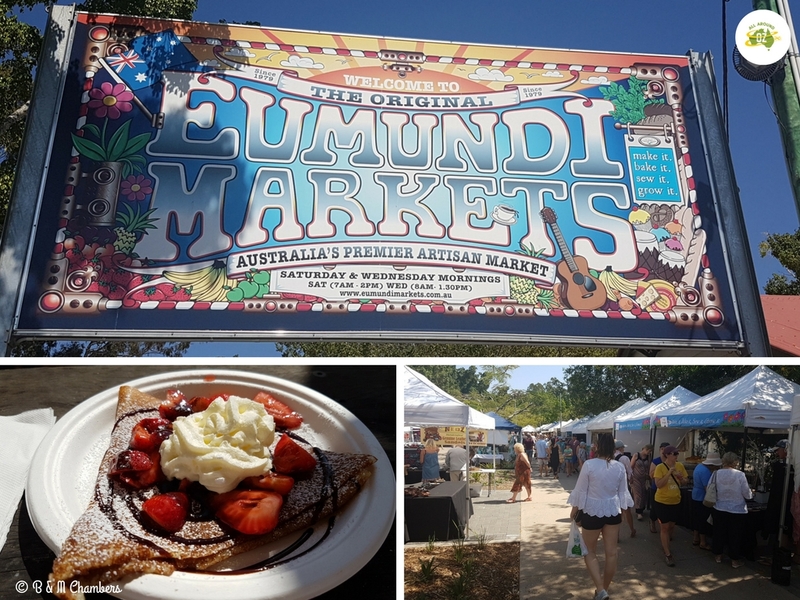 From arts and crafts to clothing to food, Eumundi Markets is an awesome way to spend a morning. Eumundi Markets are spread out over a huge area so it will take you a good two or three hours to wander around all the stalls. You can also check out the shops, cafes and the Eumundi Pub whilst you are there. You can also be entertained whilst you are there with musicians and street performers a regular feature. Just near the markets is the Eumundi RV Stopover where you can stop for $15.00 per night for an un-powered site. It even has showers, toilets and a dump point. TIP: Arrive early as the car parks fill up very quickly. Eumundi Markets are a fantastic spot to visit on the Sunshine Coast. From Noosa on the northern end of the Sunshine Coast to Golden Beach on the southern end, you would be hard pressed to find better beaches anywhere. 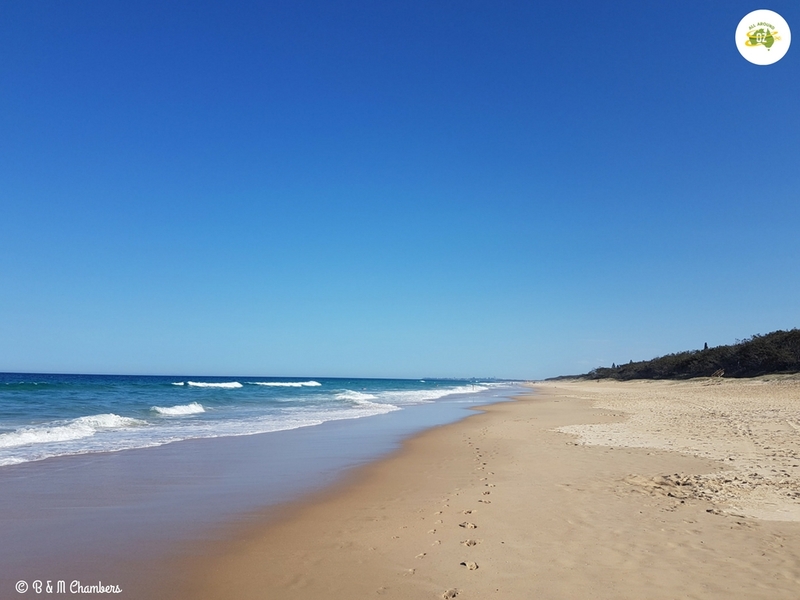 Whether you want to swim or surf or just go for a walk, the Sunshine Coast beaches will not disappoint. They are I find generally less crowded than beaches on the Gold Coast for example. Pick the right beach and the right time of day and you will hardly see another soul. As an added bonus for those of you who travel with their ‘fur babies’, many Sunshine Coast beaches are dog friendly. Coolum Beach and Mooloolaba Beach are just two that spring to mind. The Sunshine Coast boasts some of the best beaches I’ve seen. 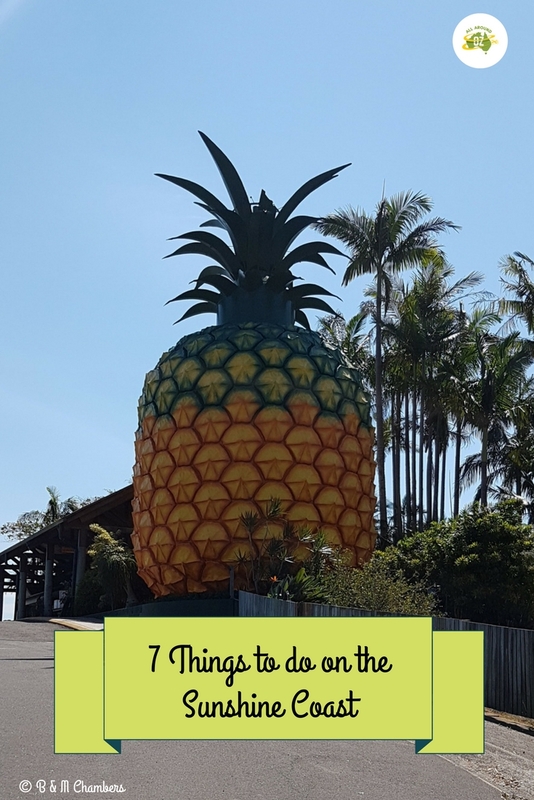 Australia is well known for it’s fondness for ‘Big Things’ and there are a few of them in Queensland including The Big Pineapple at Woombye. Originally opened in 1971 The Big Pineapple is now Heritage Listed. Climbing up inside the Big Pineapple will take you out onto the observation deck where you can look out over almost the entire district. You can also ride the historic Pineapple Heritage Train which does a loop through the Wildlife HQ Zoo. Entry to the Big Pineapple is free and a ride on the train will cost $5.00 with children under 3 free. Entry to the zoo is a separate cost. Wildlife HQ is a privately owned zoo and most of the zoo’s animals came from Brisbane’s Alma Park Zoo when it closed in March 2014. It is spread out over a huge area and the easiest way to access the zoo is to catch the Pineapple Heritage Train. 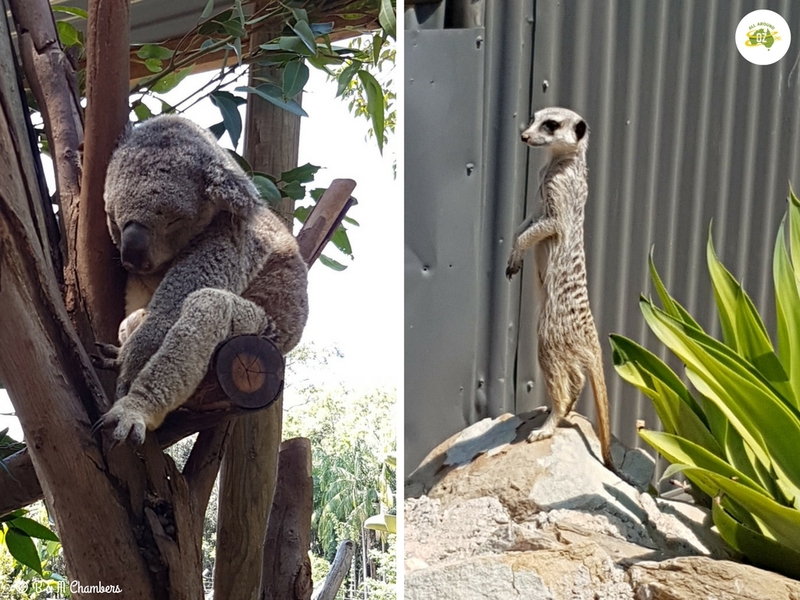 The zoo is home to over 200 animals, including koalas, kangaroos, monkeys and meerkats to name just a few. The zoo received accreditation under the ZAA Accreditation Program in 2015 and is involved in conservation, education and research. It is a really great little zoo with open style enclosures so you can really see the animals clearly. Animal encounters and keeper talks are also held on a daily basis.. Entry will cost $79.00 for a family of four. TIP: Arrive before 11am to catch the Meerkat feeding. Two of my favourite animals – asleep Koala and an ever watchful Meerkat. This one is for anyone who wants to get a little bit of beach driving under their belts. Noosa North Shore is just a short ferry ride across the Noosa River from Tewantin. You can access the beach either via the north or south cutting however, vehicles are not permitted to travel between these two points. Roads leading to the beach access are sealed so you won’t need to air-down until just before you hit the sand. Remember when driving on sand to observe all normal road rules and speed limit signs. Camping is available at Noosa North Shore Beachfront Campground. If you feel like exploring the area a little more, it is possible to drive all the way to Rainbow Beach from the northern end of Noosa North Shore. You will need to obtain a vehicle permit before driving on the beach. Ferry prices start at $7.00 per standard vehicle. Whilst at Noosa North Shore why not fit in a spot of Beach Horse Riding? It really is an amazing experience. 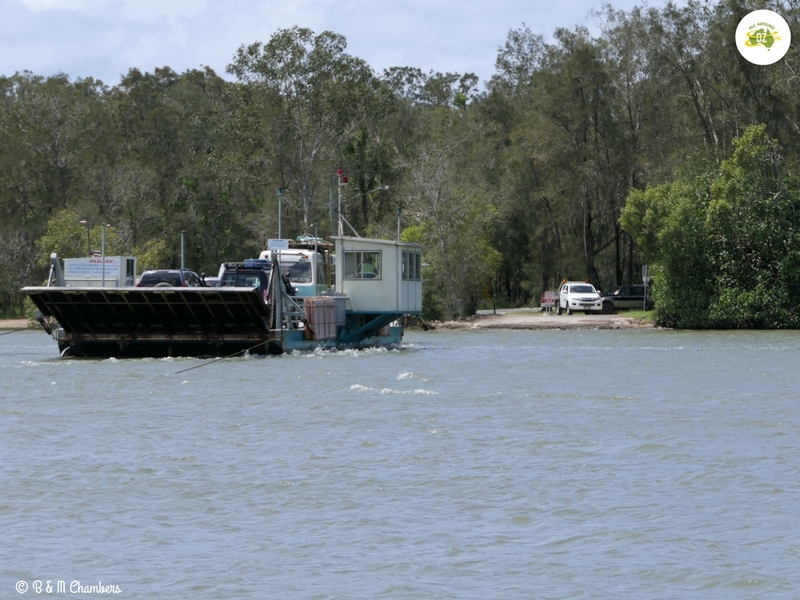 Catch the car ferry over to Noosa North Shore and you’ll feel like your miles from nowhere. We really love all the Sunshine Coast has to offer. It really is a fantastic spot and well worth taking the time to explore. 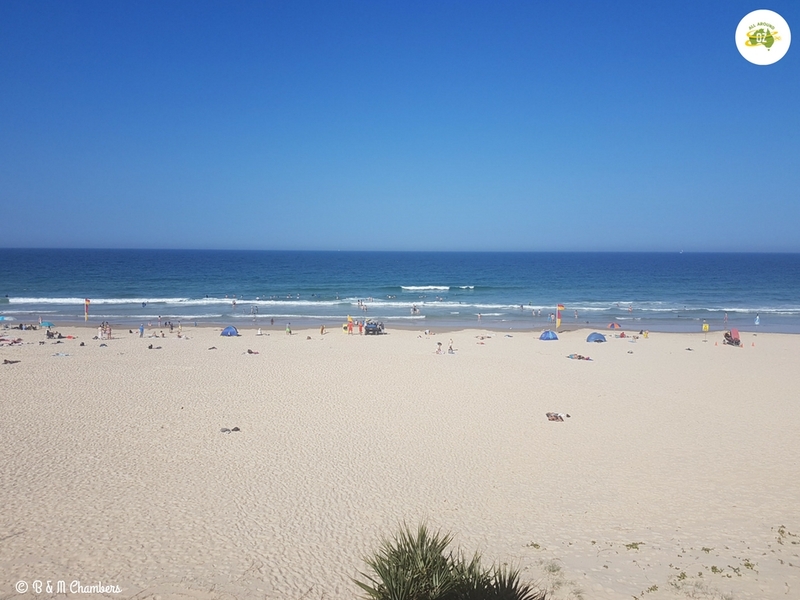 We have stayed in several different spots including Coolum Beach Holiday Park which we highly recommend. We have also stayed at the Ramada Golden Beach, The Islander Noosa Resort and a great Air B’n’B at Caloundra. I love visiting the Sunshine Coast and my favourite places to stay are Coolum Beach, Noosa or Cotton Tree. It does have a lot to offer with beautiful beaches and some great natural attractions. Coolum and Noosa are awesome. We also like Golden Beach. It’s so quiet and peaceful.